Product Code: Dotted Quarter and Single Eighth notes large sizing. These note values are common configurations in music. 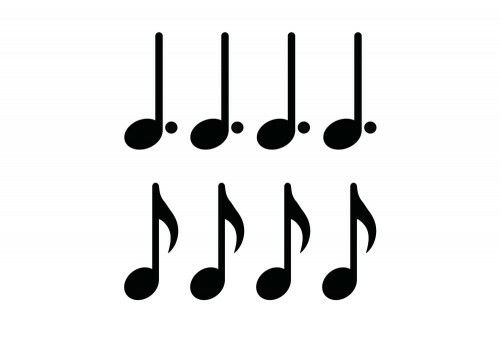 When the note values are placed under the basic beat and counting numbers are used students can see the dotted quarter note and 1.5 beats and the single eighth as the + (and) of the next beat by its placement to the right of the quarter note in the basic beat above. The student will gain a better understanding of how the dotted quarter and eighth note are counted through physical placement of the pieces on the rhythm board in relation to the basic beat above.